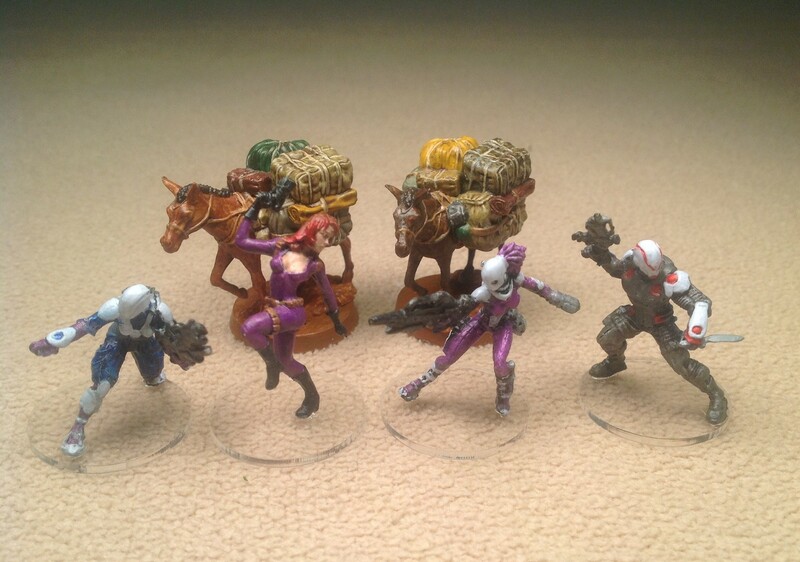 Leaving the painting table this week are a pair of pack mules and four science fiction figures. 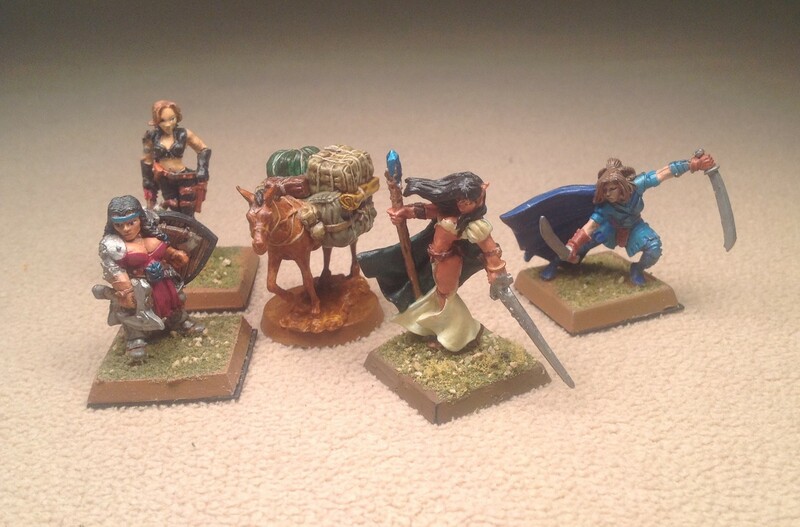 Pack mules are useful in many games and genres from fantasy and ancients up modern times. While the stereotype is the Old West geezer/prospector with his trusty mule – the mule has served as pack animal and mount throughout time and all over the world. 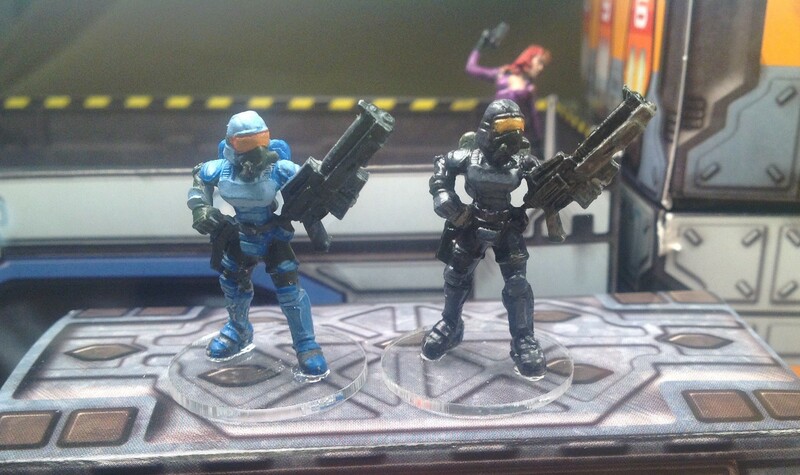 Often you don’t see them on the gaming table or in many gamer’s collection because of their cost. 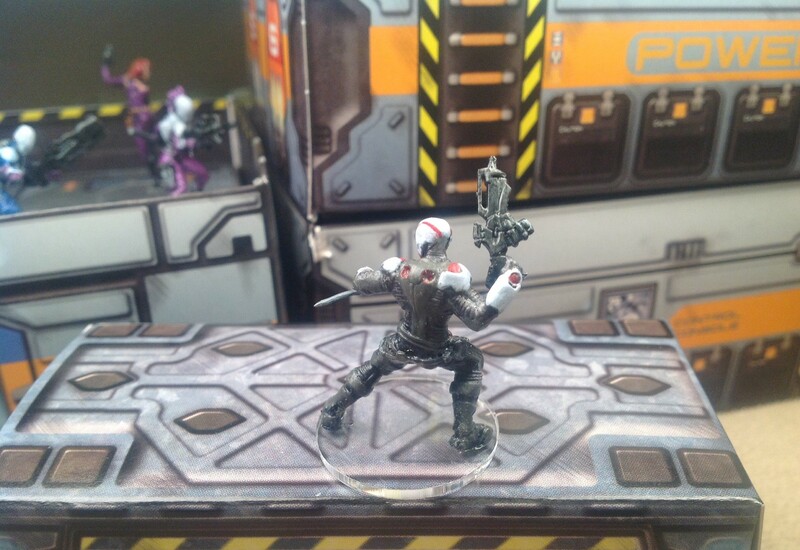 Until recently, the cost of a pack mule miniature was the same as a mounted warrior, so many gamers choose to add more warriors to their collections and use a marker or proxy in games that call for pack animals. 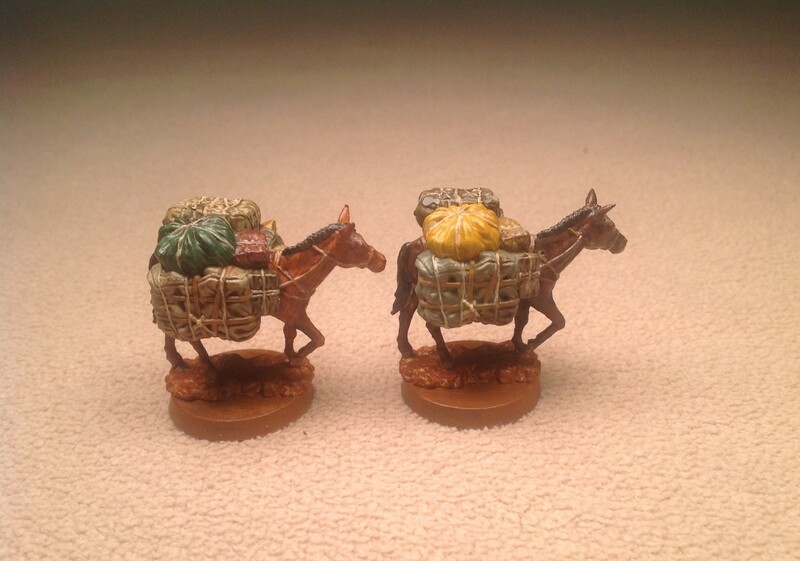 That has changed today with an affordable plastic pack donkey from the Reaper Bones line and affordable pre-primed resin pack mules from WizKids. 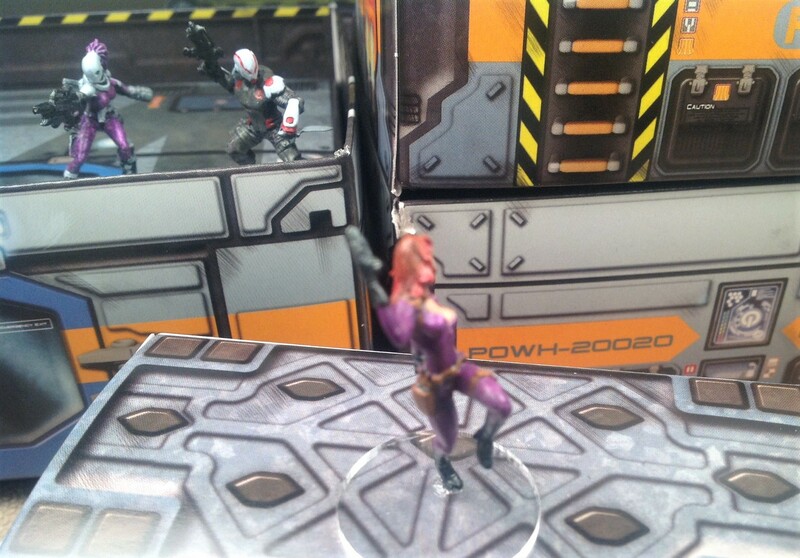 The pack mules come in a blister pack of two mules from the WizKids Deep Cuts line. 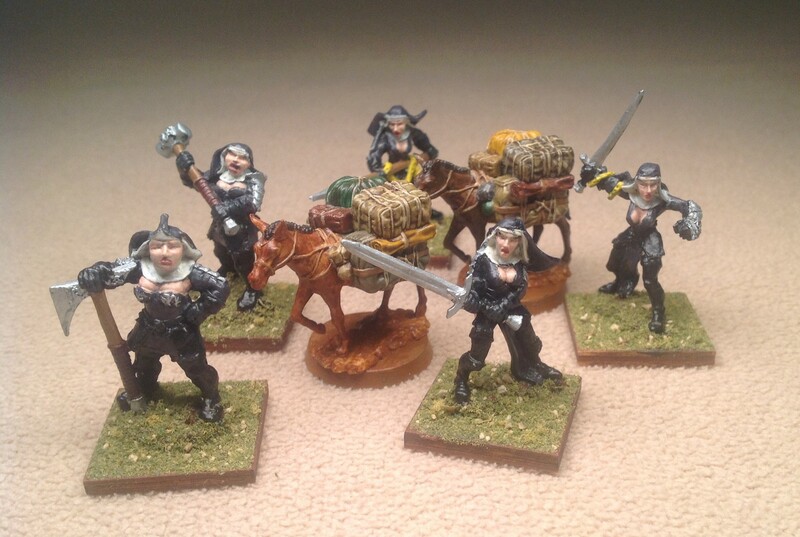 They are 28mm sized figures laden with gear in bundles and bags, so they can be used for any period. 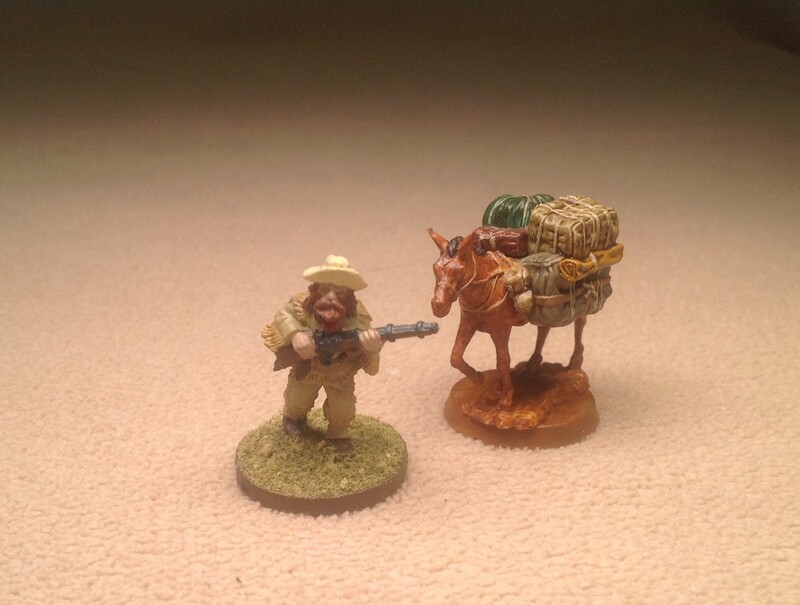 Sometimes a pack animal miniature will have shovels, picks, or weapons that might look out of place in some settings, but that is not the case with these two. Back Off, Bub! These two mules belong to Sister Sara! I’m starting a new science fiction campaign. I’m calling it Star Punk Dreams. It’s a post modernist rags to riches tale with a good dose of Cyberpunk where I explore my inner William Gibson. Anyway, my character can’t stay on the street forever and I need some figures that are a bit more professional than street gangers. 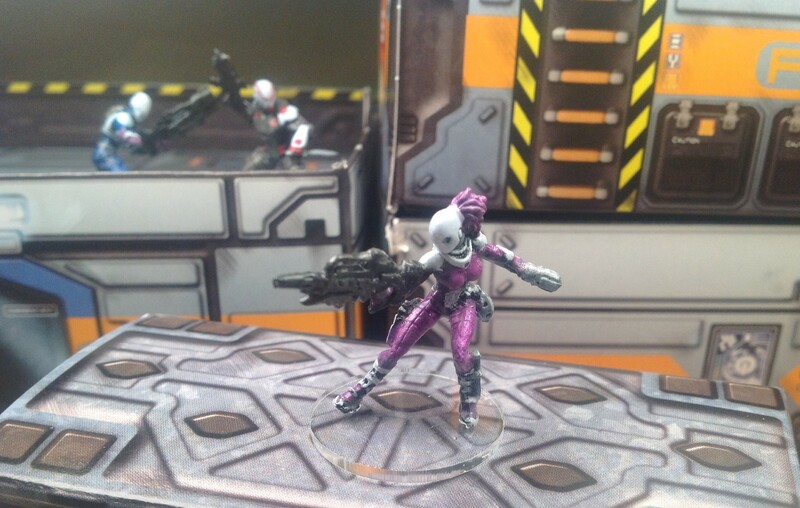 I completed four miniatures this week, one from Reaper’s Chronoscope line and the other three are from Corvus Belli’s Infinity line. The last science fiction campaign I played was The Cool Coolie, which I played while writing the scenario book. 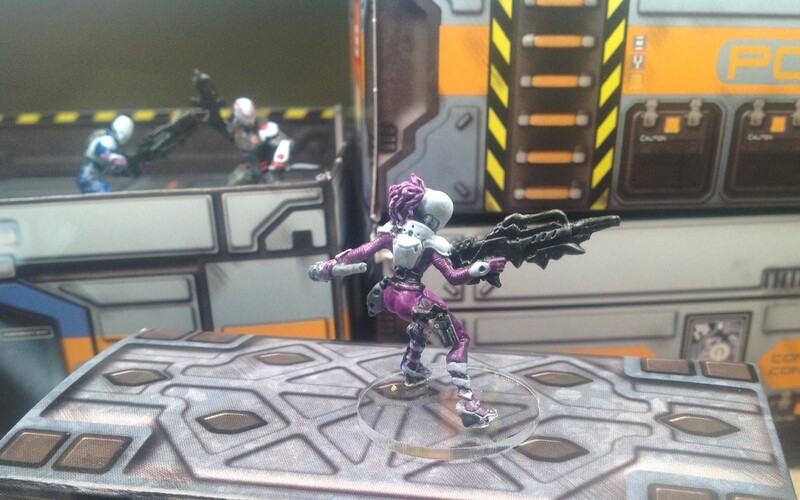 While I won’t be writing a scenario book with Star Punk Dreams, I will be using the 5150 No Limits rules from Two Hour Wargames. 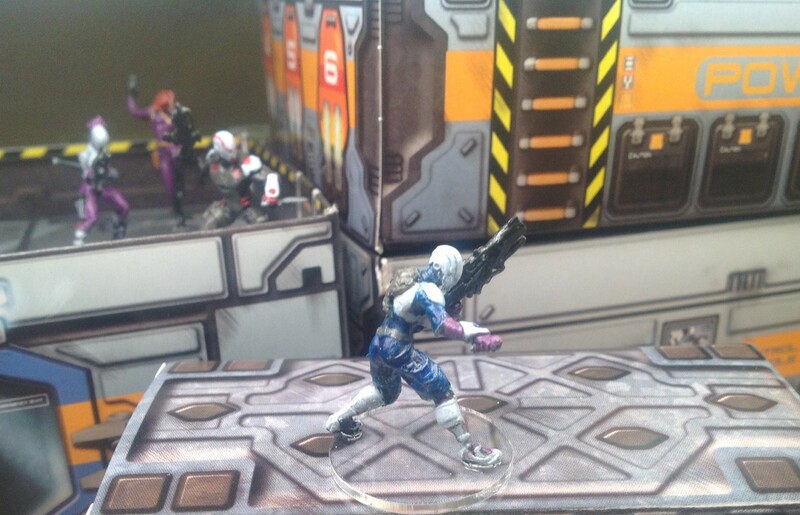 The figure I’m using for my main character, Loong Yin, is Natalia, Secret Agent from Reaper’s Chronoscope line. 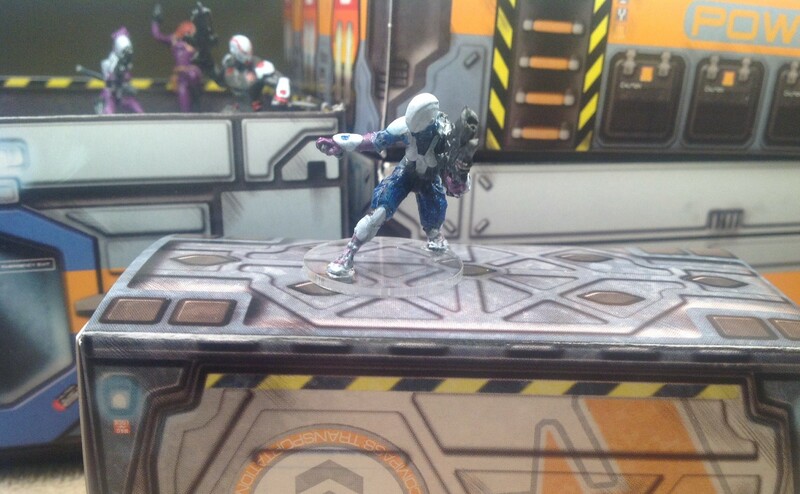 This figure was easy and a joy to paint. 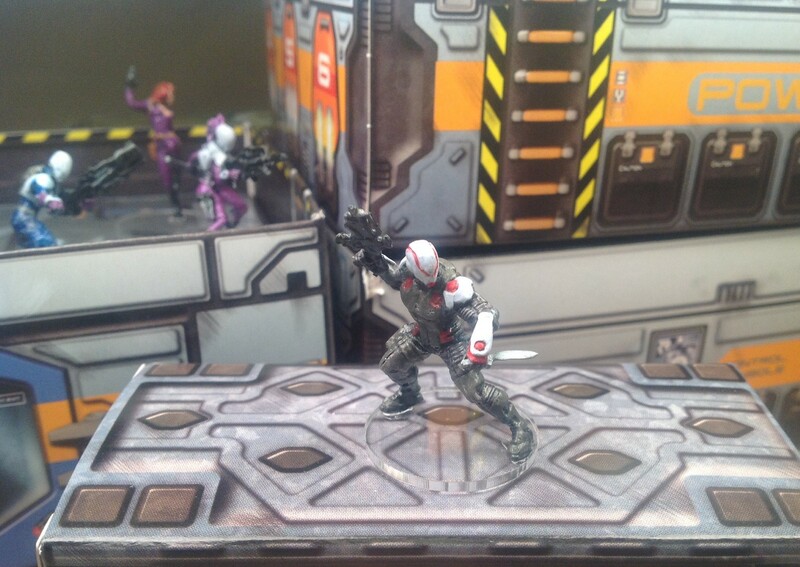 The other three miniatures are from the Infinity Nomads faction, they are a part of the Operation Icestorm box set which I purchased some time ago. 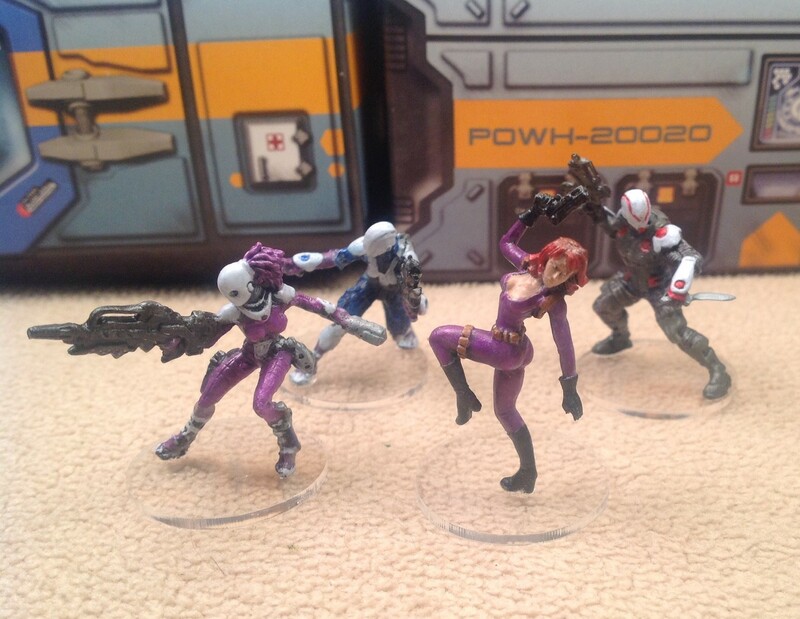 The faction colors are supposed to be red, but I already have a ton of red troops, so I chose purples, blues and grays for these figures. 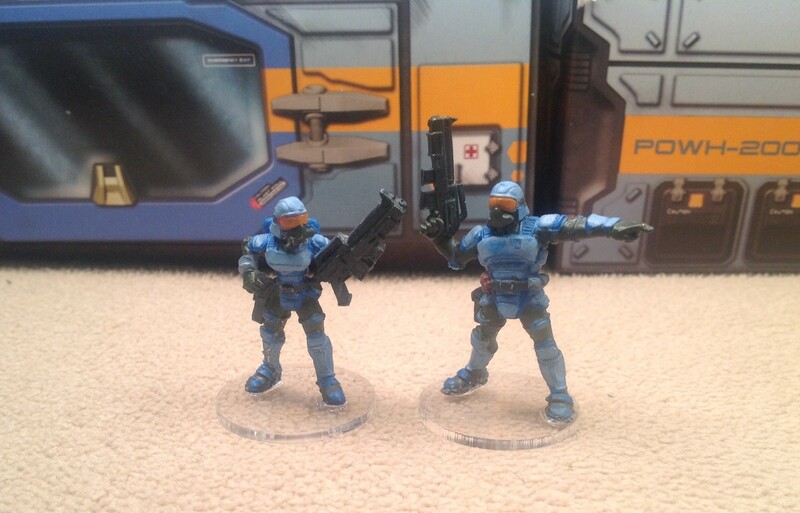 While I was basing the sci-fi miniatures on clear plastic Litko bases, I rebased a couple of Reaper Nova Corp security guards as well. It so happened that I have one of the poses in both metal and Bones plastic, so I’ve included a comparison shot of the two. 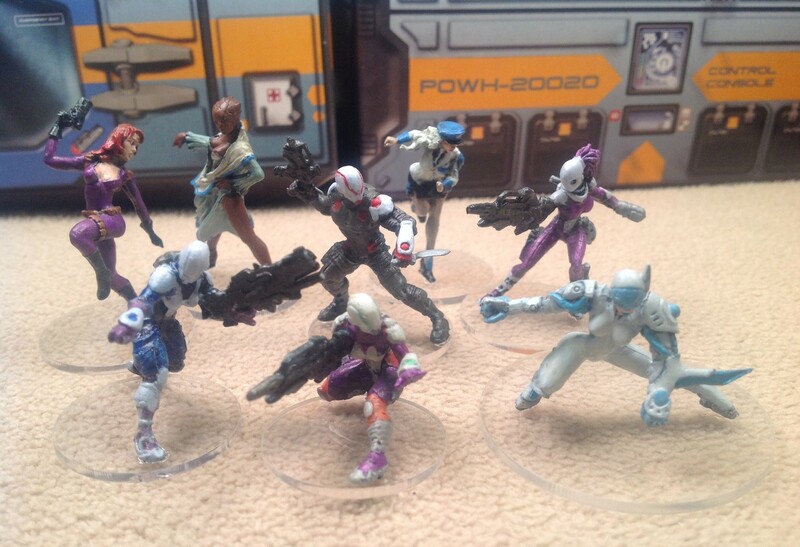 That’s 41 28mm figures & 13 20mm figures for a total of 54 figures toward my goal. As usual, any comments and I mean any comments are appreciated. There were no floozies harmed in the making of this post – BUT it came close! 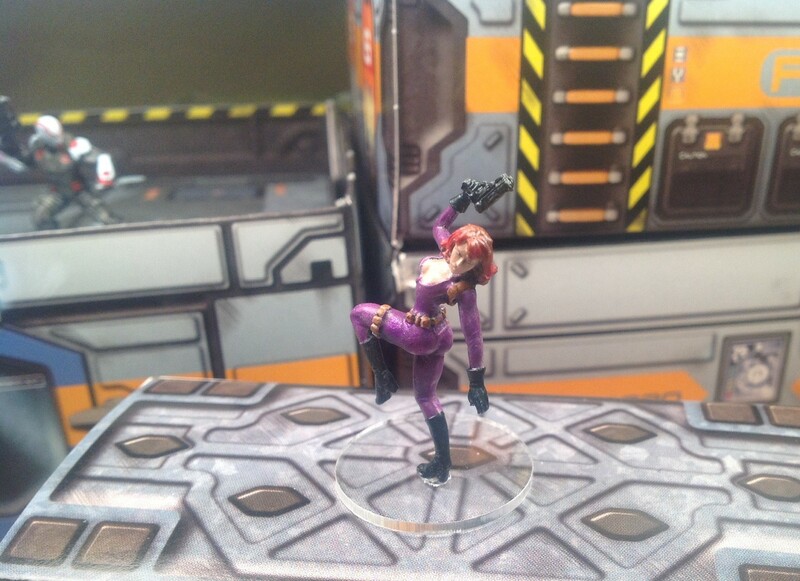 Your favorite floozy was trimming flash on a miniature when the Xacto knife slipped and she cut into one of her nails. She escaped harm, but did have to trim her nails back and redo the fingernail polish. She had to do it herself, payday is a week off and she couldn’t afford a trip to the salon.